oppilate /OP-i-layt/. verb. To block, obstruct, stop up. Most of often pores or bowels. Noun: oppilation; adjective: oppilation. 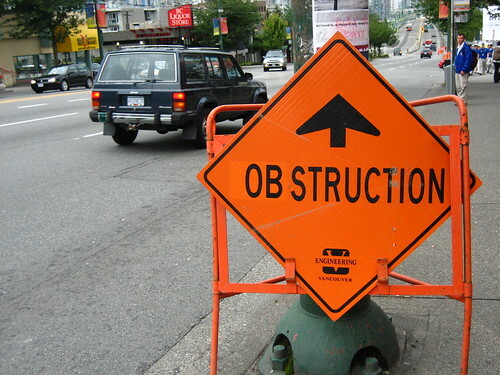 To remove such an obstruction is to deoppilate. From Latin ob (in the way, against) + pīlāre (to ram down, pack closely).